FILE PHOTO: Democratic 2020 U.
GREENVILLE, Miss. 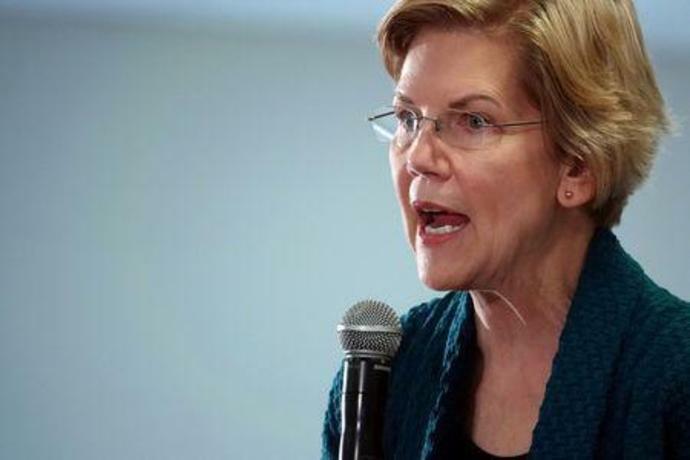 (Reuters) - Senator Elizabeth Warren, one of more than a dozen Democrats vying for the 2020 presidential nomination, on Monday called for the scrapping of the electoral college, the method used to elect U.S. presidents. It was the first time Warren has explicitly called to eliminate the system established by the U.S. constitution, in which each state is allotted a set number of "electors" based on the combined total of the state's representation in Congress. "Well, my view is that every vote matters. And the way we can make that happen is that we can have national voting. And that means get rid of the electoral college and everybody counts," Warren said, eliciting some of the most enthusiastic applause of the night.